09.26.2017 — MKA staff, friends, and family joined together on Saturday, September 23rd, to complete another successful community service project! 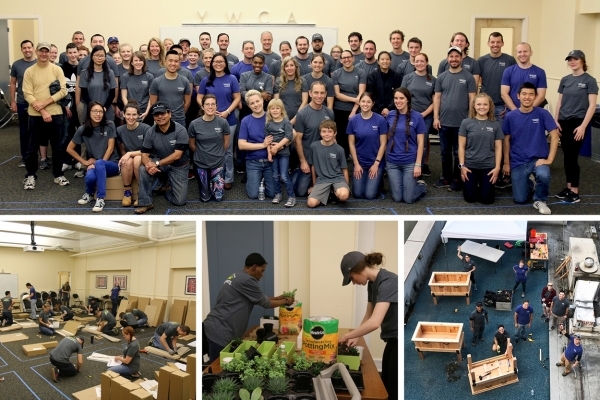 This year we worked with the YWCA on several projects at their downtown facility. We had 60 volunteers in all, an MKA Community Service record! Projects included painting, purchasing and assembling 72 pieces of furniture, potting succulent planters to brighten resident’s rooms, and designing and building 3 standing planter boxes for the resident’s rooftop garden. This year’s co-leaders, Jennifer Diggs and Kelsey Price, made sure everything ran smoothly from day-one to build day. Additionally, individual team leaders planned logistics, design, and lead their teams on build day. Thanks to everyone who participated — you are truly #MKAwesome! 09.18.2017 — With heavy hearts, we said goodbye back in August to one of our firm’s engineering giants, Jack Christiansen. Among other achievements, Jack was well known for his mastery of thin-shell concrete structures. Jack was a part of our firm from 1952 until his retirement in 1983 when the firm was known as Skilling, Helle, Christiansen, Robertson. 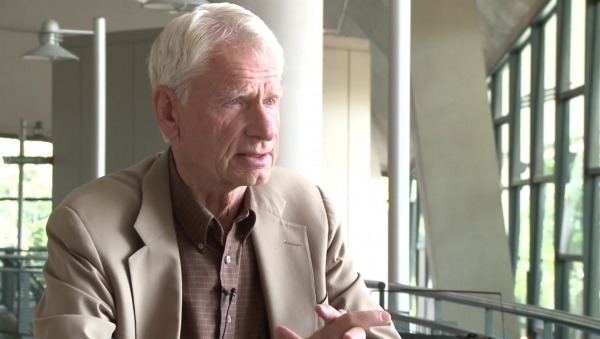 Thanks to the Structural Engineers Foundation of Washington (SEFW), part of Jack Christiansen’s story is preserved in this short film (link here) highlighting the Structural Engineers of the 1962 Seattle World’s Fair. Learn more about the U.S. Science Pavilion design (now known as the Pacific Science Center) in which Jack collaborated with Minoru Yamasaki. Listen to Jack himself starting at the 12-minute mark — as well as seeing Jack’s design of the International Commerce and Industry Building’s flower-like roof canopies in thin-shell concrete at the 28:30 mark. These structures are a must-see, as they were a beautiful expression of structure which unfortunately no longer exist on the site. 10.19.2015 — Team MKA participated in the 2015 Puget Sound Heart & Stroke Walk this past Saturday at Seattle Center. 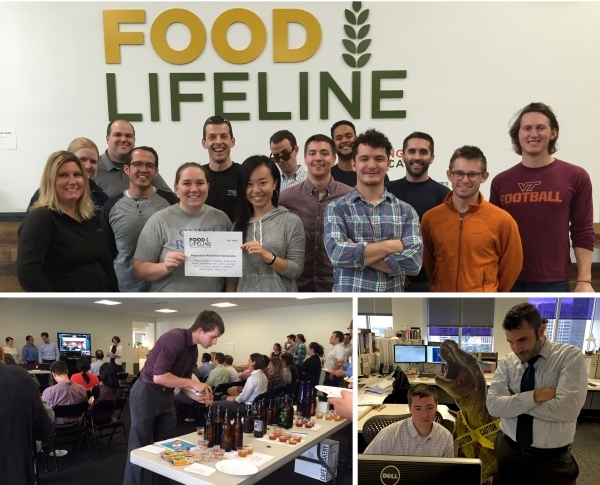 Combining individual donations and an office-wide bake sale, the team exceeded their fundraising goal of $1000. As you can see, the baking presentations got creative with Rice Krispies Treats stacked as a replica of one of our projects, SkyRise Miami. 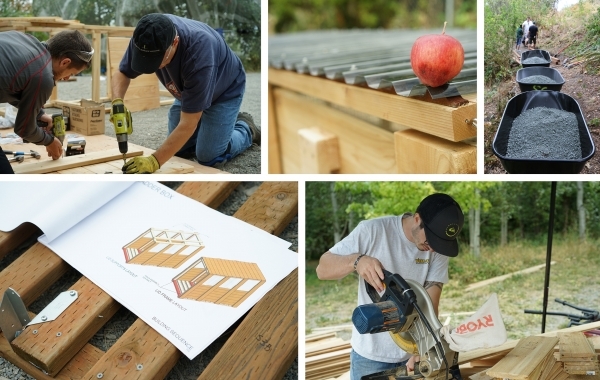 08.31.2015 — If you live in the Seattle area, you know this past Saturday’s weather was a bit hectic with wind and rain.... however, our amazing MKA Community Service Team spent the day at Lake Samm Foursquare Church building a sensory playground, nature trail, activity panels, tricycle storage, playground seating and fences. The centerpiece of the playground is a large octopus made of concrete with mosaic and tactile surfaces. Cleverly, the head of the octopus covers a tree stump in the middle of the playground area that would have been tough to remove. These spaces were designed to engage children on the autism spectrum, specifically a group called FEAT of Washington (Families for Effective Autism Treatment), just one of the many groups that Lake Samm hosts at their location. 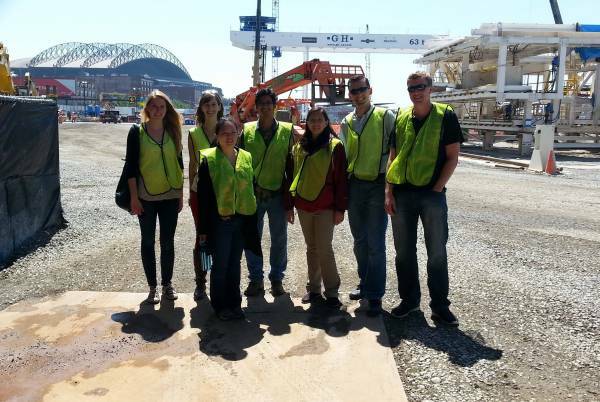 Again this year we partnered with Seattle Works for logistics and coordination. We are thankful to Katie Tiehen for all her help and Lake Samm for their support and day-of snacks that kept the team going! We will return this week to put finishing touches on — and sincerely look forward to seeing the kids put their new playground and nature trail to use. 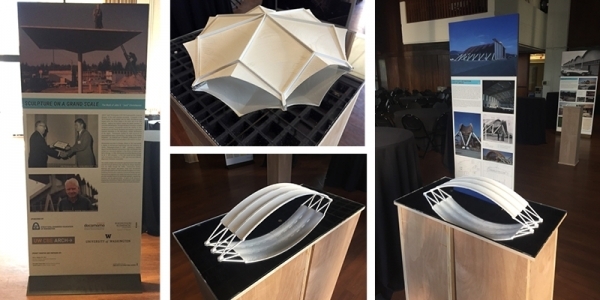 03.11.2015 — The Chicago Architecture Foundation maintains a very elaborate (and famous) model of Chicago buildings, a permanent exhibit that is updated annually and grows along with the city! A team constantly watches the Loop for new construction, then each year adds new projects and takes out demolished buildings. 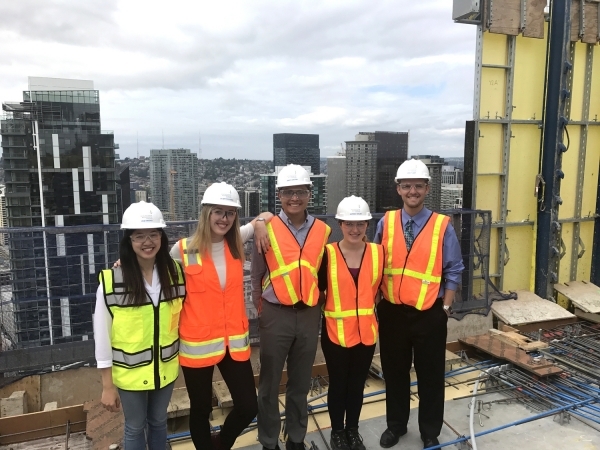 Once a project begins, the team contacts the architecture firm for an exterior file of the building that can be used as a guide to 3D print the building’s model. This year, 4 of the 16 new buildings were MKA designs: 151 North Franklin Street, 200 North Michigan, 150 North Riverside, and River Point at 444 West Lake Street (MKA also did a peer review of OneEleven at 111 West Wacker). With a Chicago office and over 50 projects in the area, MKA has made quite an impression on the city’s skyline. Check out the link to read more and see pictures of the impressive model. Can you spy any MKA projects? 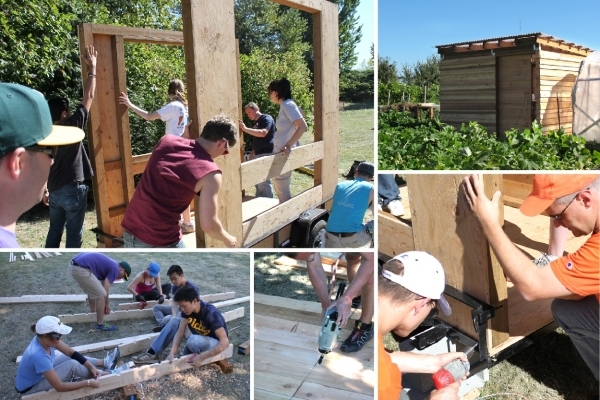 09.25.2014 — This year, MKA is sponsoring the Community Enhancement Program put on by NAIOP’s Washington State Chapter. Each year, NAIOP Washington selects an improvement project, supported by donations of time, money, materials, and expertise. This year’s project is Camp Waskowitz in North Bend, WA, a facility built during the Great Depression and named a National History Place in 1993. The camp has been a valuable community resource for 80 years and is now in need of some NAIOP TLC. For those interested in volunteering, project work is set for October 4th from 7:30 a.m. – 4:00 p.m. Visit NAIOP’s website for more details. 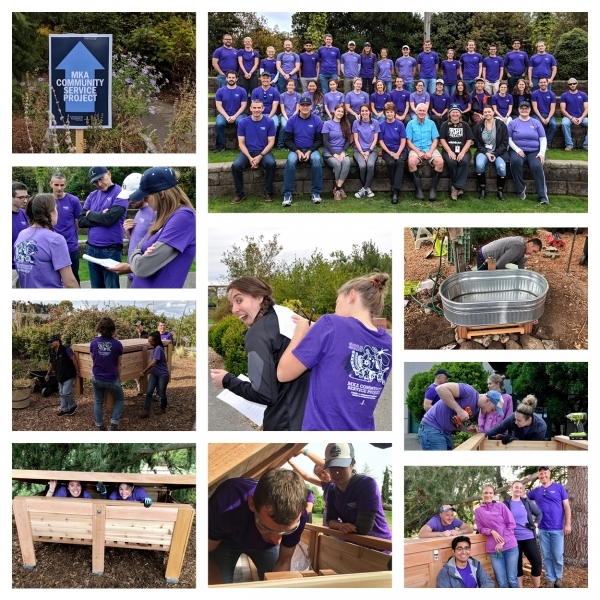 09.13.2014 — After months of planning and coordination, MKA volunteers completed their first community service project for Lettuce Link at Marra Farm in south Seattle. The farm, one of the last historic agricultural plots in Seattle, was in need of two things: first, a Mushroom Shack, where the farm could cultivate a variety of edible mushrooms. Second, a secure and portable Market Stand, which would allow the farm to sell produce to the residents of South Park, where fresh, organic produce is a rarity. 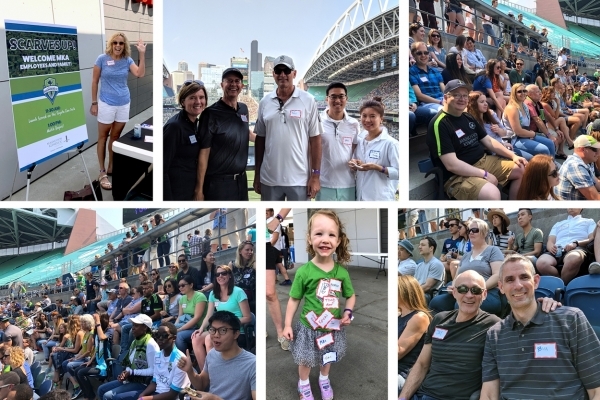 Volunteers from all departments at MKA set out to design and build both projects with financial support from the company and logisitcal help from SeattleWorks. While the design and planning of the projects took several months, 35 MKA volunteers successfully built both projects in one (very long) day. Excellent work, everyone! 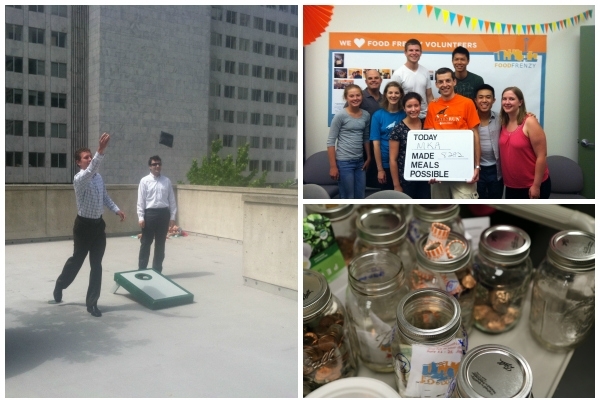 08.11.2014 — Over the sunny weekend, MKA hosted the firm’s annual Summer Picnic. This year, engineers and their families gathered at Woodland Park Zoo for a picnic, animal encounters, face painting, and games. 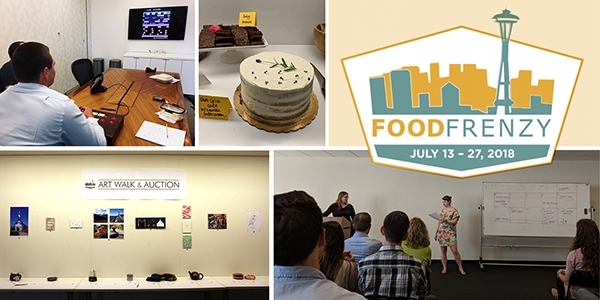 07.28.2014 — This month, MKA participated in Food Lifeline’s annual “Food Frenzy,” a two-week competition between local businesses to raise funds to combat summertime hunger. This campaign encourages participating businesses to create their own fundraising and team building activities. 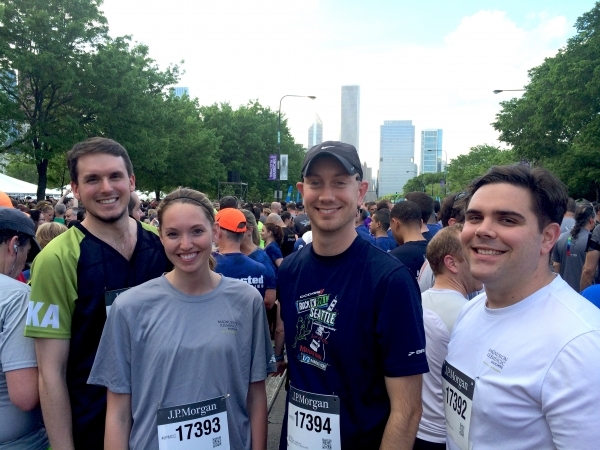 No stranger to creative solutions, MKA engineers worked together to raise over $6,600 to benefit Food Lifeline, placing the firm third overall in the Design and Construction Category. - Spare Change Competition: specialist groups teamed up to compete in a unique spare change competition, which resulted in about about 160 pounds of change! 06.23.2014 — On June 19, 2014, MKA engineers Jordan Jarrett and Kevin Aswegan shook things up at the Museum of Flight’s STEM (science, technology, engineering and mathematics) Camp: Wonderous Waves. Speaking to 6th and 7th graders, they discussed the waves of motion associated with earthquakes and tools for understanding the effects of earthquake motion, including plate tectonics, seismic waves, measurement of earthquakes, and the faults affecting Seattle. 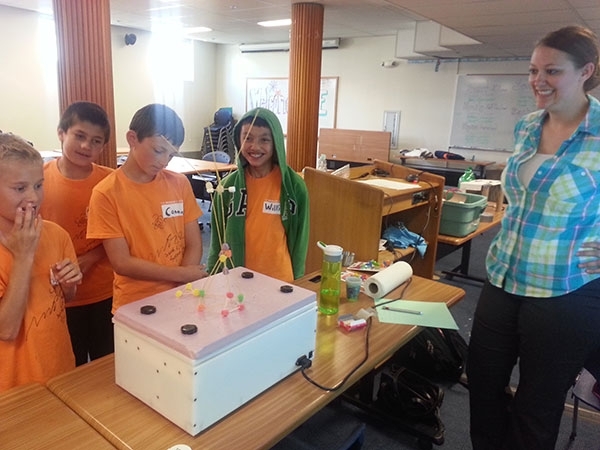 The campers engaged in several hands-on actives, including making seismic waves out of slinkies, creating their own “earthquakes” by jumping around an accelerometer, and building candy structures that were tested on a shake table. 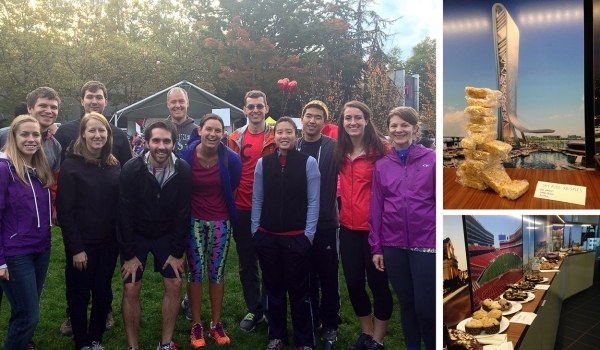 10.20.2012 — Many MKAers participate as part of the MKA/Sellen team in the 2012 Puget Sound Heart Walk, and MKA made a donation on the team’s behalf. 10.07.2012 — Derek Beaman, MKA Principal, and Andy Fry MKA Chief Operating Officer, ran all 26.2 miles of the Portland Marathon. Derek ran it in 3:53:29, and Andy in 3:57:05. Impressive! 09.15.2012 — Jon Magnusson, MKA President/CEO, ran the Disney Half-Marathon through California Adventure, Disneyland, and the Angels Ballpark. 09.01.2012 — We had a great turnout at this year’s golf tournament at Echo Falls in Snohomish on Friday, August 24, with 45 players and 12 scramble groups. The winning group included Brook Jacksha, Ben Thomas, Jeanette Lam, and Alex Dehoux—congratulations! Women’s long drive winner was Jeanette Lam, and men’s long-drive winner was Greg Briggs. Closest to the pin went to Brian Morgen, who was just 19 inches from the hole on 14 (which was 130 yards). Additional group entertainment was provided at the 18th hole, where finished players could watch those who followed put a LOT of balls into the hole’s water feature. 08.18.2012 — MKA had a good showing at the Covey Run! 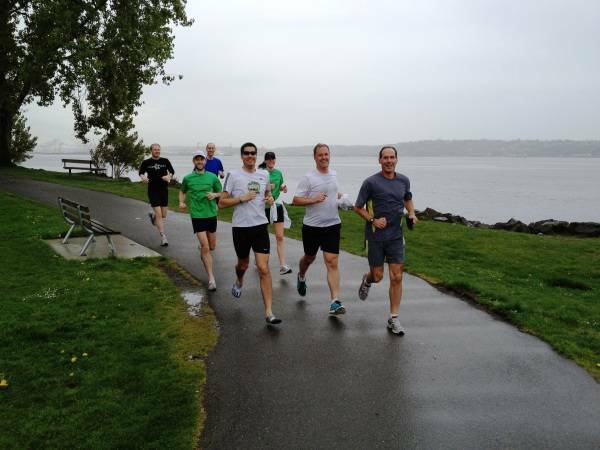 MKA made a donation in support of the run, which goes towards uncompensated medical care at Seattle Children’s Hospital. 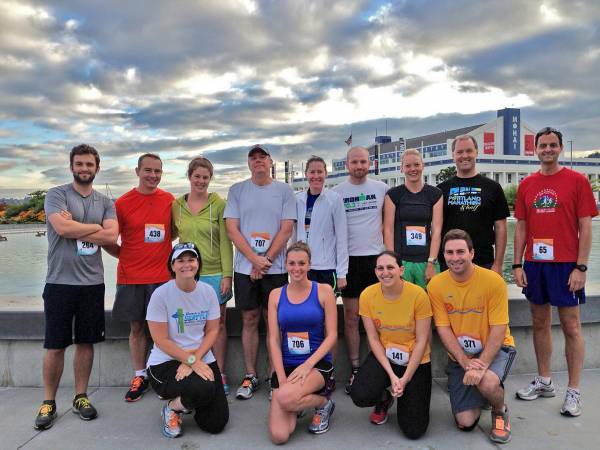 Runners completing the 10K included Amy Haaland, Krzystof Zaleski, Andy Fry, Janet Ranf, Adam Theiss, Elizabeth Theiss, and Tyler Ranf. Katelin Crook and Emily Carlip completed the 5K (but missed the photo op!). There were also 9 additional "MKA friends and family" participants, including the Fry and Theiss kids. 05.27.2012 — MKA engineers Ben Klingenstein, Ben Enfield, Drew Kirkpatrick, Ryan McKinney, and Mat Johnson competed in a seven-leg, multi-event relay known as the "Ski to Sea Race." The event starts at the top of Mount Baker and ends in Bellingham Bay, and 500 teams competed. 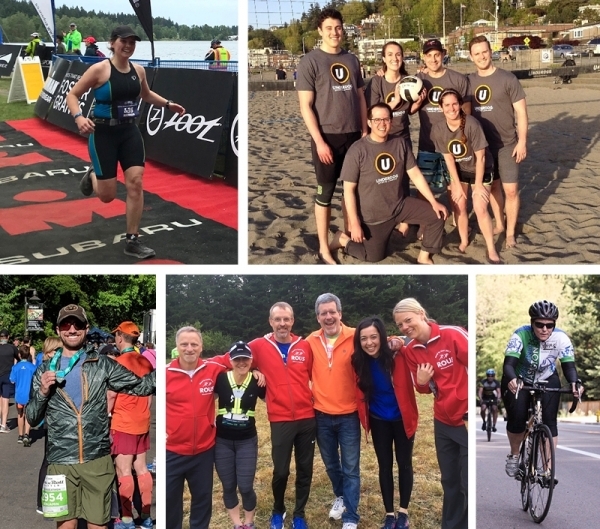 The seven events were cross-country skiing (Ben K.), downhill skiing (Ben E.), running, road bicycling, canoeing (Drew), mountain biking (Mat), and sea kayaking (Ryan). Their team finished in just over 9 hours, at 9:08:26. Impressive! 05.01.2012 — MKA’s running group rushed out the door to get a glimpse of Seattle’s long-awaited spring sun...and they almost made it!